Engage with one of our design partners to get your project to market quickly. These experts have the tools and knowledge needed to design with SiTime products. Since 1995 Abed Technologies, Inc. has been an electronics consulting firm specializing in “concept to production” development of products utilizing 8 and 16 bit embedded microcontrollers. With over 30 years of experience, Abed Technologies works on projects ranging from minor design changes to very complex controllers. Services include hardware design, PCB layout, software development, design verification tests and UL, ETL, CSA, CE, FCC and ESD compliance. Anidea Engineering is a design and engineering firm that specializes in the development of prototypes and products, with expert engineers transform concepts into tangible products. Anidea provides the creativity and expertise to turn your project into a reality. Founded in 2001, Anidea Engineering, Inc. has serviced hundreds of clients across the US. Anidea Engineering handles everything from large commercial projects to personalized engineering solutions for inventors. Founded in 1997, Bridgekey is a product design service firm committed to helping customers bring their new concepts and products to market. Bridgekey offers technical expertise, practical experience, organizational skills, and manpower, with expertise in the development of embedded microprocessor based control systems. Services cover system design, from hardware to software, including product specifications and assessing the tradeoffs between hardware and software functionality. Calpak USA offers complete turnkey services and delivers advanced designs which are pre-engineered for manufacturability and assembly. Projects range from simple low-content, high-volume consumer products to highly complex low-volume, high-content defense systems. Calpak’s hardware expertise spans electrical design and engineering, PCB design, layout, fabrication and assembly, box builds, and more. Software expertise includes embedded systems applications and software, and mobile software development. Cargt Consulting is an electronics design services company specializing in low-power electronics and ARM-based single board computers. Cargt Consulting solutions range from consulting and research to complete turn-key solutions. For production needs, Cargt Consulting partners with several certified manufacturing locations to achieve high-quality production, test, and assembly. embedded brains GmbH, with headquarters near Munich, is an owner-operated company that specializes in customized software and hardware development for high-performance single and multicore systems. The development team accompanies and supports customers from different sectors over the entire development process and with the help of partner companies also deal with series production and fabrication after the completion of prototype development. Incorporated in 1984, HWI (Halleck-Willard, Inc.) is a turnkey research, development and engineering service company focused on providing innovative and responsive product realization solutions. HWI has been involved in the development of hundreds of products encompassing defense, communications, transportation, industrial/motor control and consumer industries. HWI also specializes in medical device design with expertise in FDA requirements and submissions. Ignitarium is a silicon and embedded system design house, formed with an intent to provide innovative, optimal, and relevant solutions for customers in their product development endeavor. Ignitarium is built around a core team of technologists with expertise in SoC and system architecture, ASIC design, FPGA design, embedded system design, and software development. Ignitarium has specific expertise in multimedia HW and SW, computer vision, and machine learning. Infinetix has established itself as the engineering solution for new designs and the redesign of existing products, from conception to production, or anywhere in between. 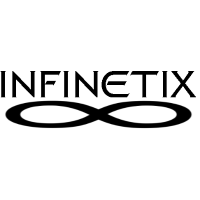 Infinetix handles all aspects of the design from hardware, firmware, software, mobile development, and cloud services. Infinetix leverages the latest technologies and tools for new product development, while providing continuity for its customers with over 24 years of history and long term product support. Microprocessor Designs is an electrical engineering and product design consulting group founded in 1987 by Jeff Finkelstein. The group specializes in microcomputer based product design and development from the concept phase through manufacturing targeting applications in medical, automotive, industrial and consumer segments. In this capacity the group has provided hardware, firmware, and software expertise for numerous clients within the US and Canada. Based in Phoenix, Arizona, MicroReady is an electronics product design company that provides product managers and developers with expert electronic design and embedded firmware services. MicroReady is involved with the entire process from initial concept and design through to production. MicroReady works with local, national and international companies from a diverse range of sectors including consumer electronics, communications, medical, industrial and utilities. NeuronicWorks Inc. is a one-stop-shop engineering design company based in Toronto that offers custom product development services. The company provides end-to-end design services for visionary entrepreneurs seeking to create a reliable and impactful product while keeping the process cost-effective. From concept to production, NeuronicWorks uses design for manufacturing methodologies to build state-of-the art electronic systems that meet the increasing demands of today’s technological world. Pioneer Microsystems is an electronics design consulting firm that can solve your technology hurdles. From board level to full software and manufacturing support, Pioneer is in an ideal position to meet your needs. And with 21 years of experience, you can be assured you are getting the best, most up to date help. SAAR Associates has over 45 years of experience in technology consulting and product development services, with a focus on wireless communications for RFID, proprietary sub GHz solutions, and Bluetooth, ZigBee, and WiFi applications. SAAR has a well-equipped laboratory with capabilities of RF from low frequencies through 20+ GHz, and specialized equipment for power supply and battery management applications. SAAR also provides technology evaluation, troubleshooting, and IP related services. Useful Devices is an innovations company focused on product development, with expertise in electronic design, software and firmware development and production management. Useful Devices has delivered quality products for commercial, military and industrial markets for over 15 years and continues to create reliable and cost effective solutions. Voler Systems provides hardware and firmware design for sensors, wireless, motion control, and medical devices. Voler has experience in analog design, FPGAs, microprocessors, Bluetooth, Bluetooth LE, WiFi, cellular and other wireless modules, as well as interfacing with a broad range of sensors including temperature, motion and vision sensors. Voler is recognized for high quality designs that are produced in volume without problems.